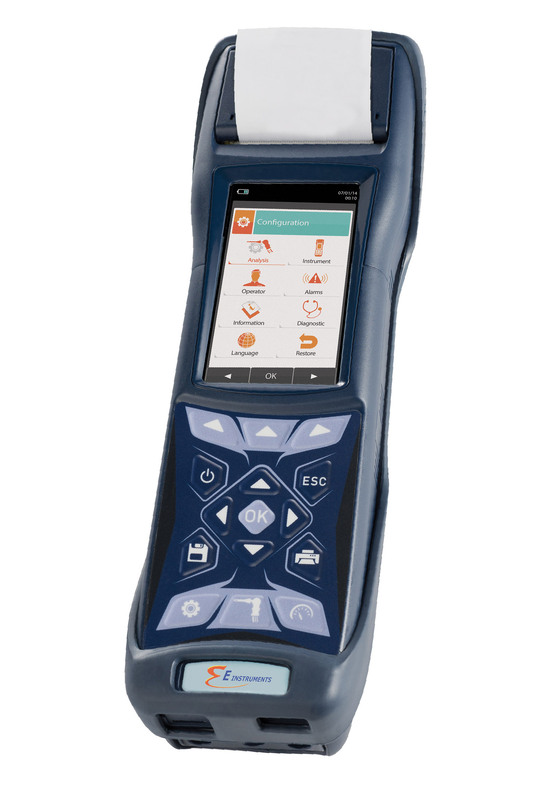 The E4500-N Hand-Held Combustion Emissions Analyzer is a new, rugged unit with the ability to measure NOx from high efficiency and condensing boilers, burners, engines, turbines, kilns, furnaces, incinerators and other industrial combustion processes. Featuring a new large display and expanded internal memory, the E4500-N lets you easily see and save your sample data without worrying about running out of memory. E Instruments International's E4500-N also features pre-calibrated, field replaceable sensors which allow for easy diagnostics and replacement to reduce downtime and costly repair charges.